I book tour guides very rarely, I do it only when I feel going by myself could make me waste time or not properly appreciate what I’m meant to visit. 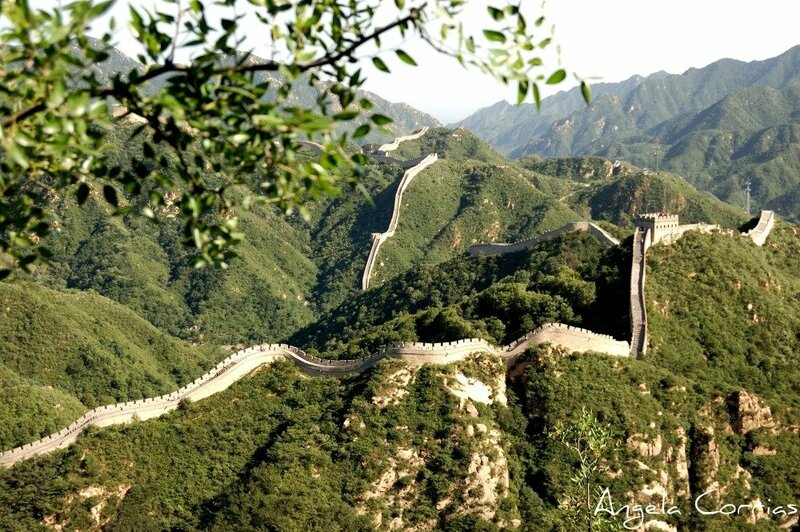 These are the main reasons why I booked a guided tour to go to the Great Wall in Beijing, China, in August. 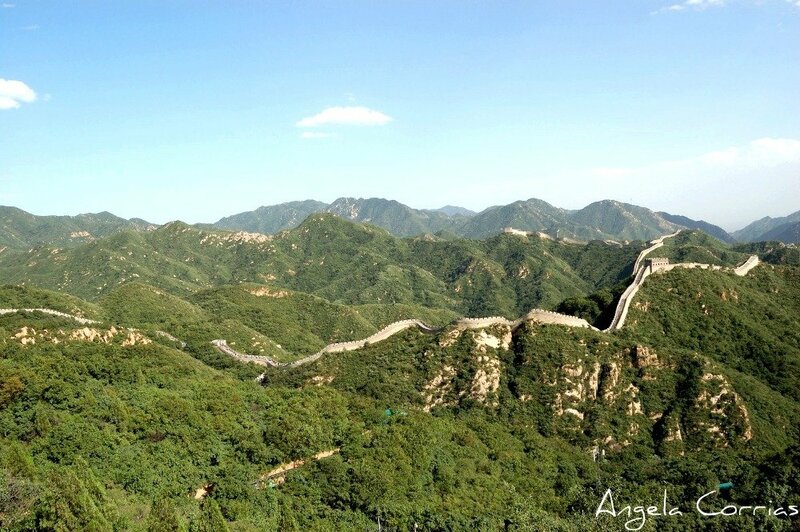 A view of the Great Wall from the entrance in Beijing. It’s fair to say that at the time I had been in China for about two weeks and I hadn’t started my Chinese classes so I didn’t speak a word of Mandarin language, which made all communication impossible since locals spoke no English. After the Ming Tombs, all due “shopping stops” and the lunch, in the afternoon we finally made it to the longed spot, what we all had been waiting for. 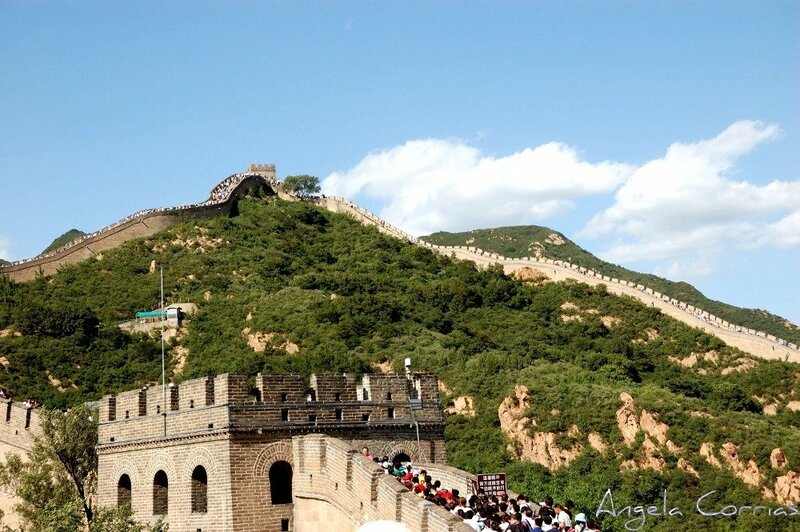 The UNESCO-listed Great Wall of China is arguably one of China’s most visited landmarks. An ancient fortification built to protect China from foreign invasions, it’s more than 20,000 km long, as announced by the State Administration of Cultural Heritage after a survey. Started in the 8th century BC and built throughout the following centuries, today it’s a favourite trip from Beijing for families with kids. 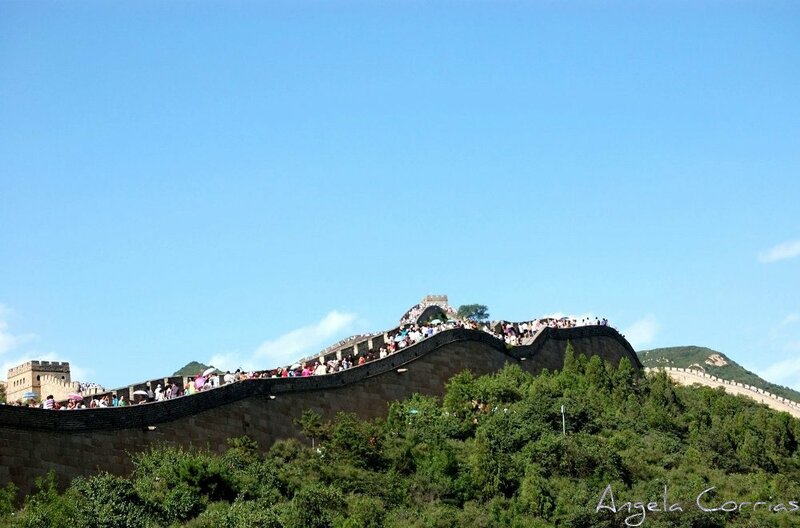 In August the Great Wall is packed with tourists. Our guide warned us from the bus: “Today is one of the worst days to visit the Great Wall, it’s not just during summer holidays, it’s also the weekend!” We got what she meant as soon as we arrived: a huge human flow was spread-out all along the Wall, from the entrance to the top. Most of them were Chinese, and this is where I had the full idea of being in the most populous country on earth. I felt like the whole population was there on the same day as me. One more view of Beijing Great Wall. In her shaky English, our guide, who didn’t come with us all the way up to the Wall, instructed us to go back through the same path we used to go up. That made sense when we started our march, but once at the top didn’t really seem to be so straightforward. I was with my parents and we soon realized we were lost. We didn’t speak a word of Chinese, nobody spoke a word of English, we had never felt so unable to communicate and to ask for help like that day. And if this wasn’t enough, the blazing heat didn’t help us see straight. In China, Facebook and other websites are subject to government filter. This is why it’s good to have a VPN service to be able to access all websites by connecting to foreign servers. I have always used ExpressVPN because it’s the most reliable among the ones I have tried, both paid and free ones. With ExpressVPN you will have a fast connection, a big choice of servers and with the same subscription, you can install it on more than one device. You can do a monthly or annual subscription, obviously the annual is cheaper: last time I bought it was one month at the cost of $12.95, while the annual package costs $8.32 per month. When we finally found the way, we were worn-out, and although we suspected that this was going to be our favorite joke to tell family and friends back home, at the time we had no energy left even for a little chuckle. If it wasn’t evident before, after our adventure, it became crystal clear how important was for me to learn Chinese if I had the intention to stay in China. After six months, I’m by no means fluent, but I can communicate, I can manage to find the words to ensure a smooth survival, and last but not no least, I can find my way home if I get lost. 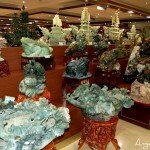 Encore des photos et un article interessants! Et je peux témoigner de la véridicité de ton récit! Having been to China, I can certainly commiserate with you. Glad you found your way back! What an experience that was… melting under August sun and in such a hard pathway. We made it eventually, but we were exhausted! 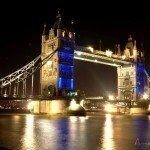 What a great story about your experience. Enjoyed it very much. I can imagine being in that situation! 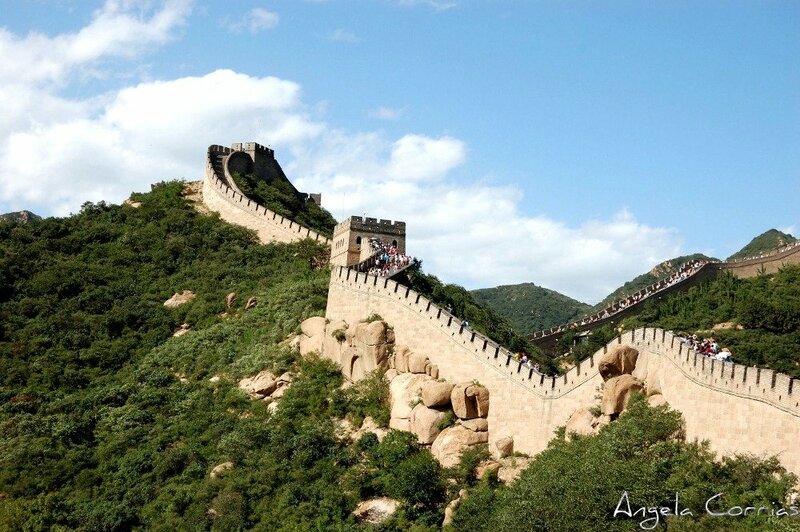 The Great Wall is very high on my list — I will attempt to learn Chinese first. Very nice photos, Angela! It’s unusual to see such clear blue skies in China! I’m glad that everything worked out for you in the end. I’m very disappointed. Two trips to the great wall and I never got lost in Inner Mongolia. I also didn’t encounter the horrible hordes of people–definitely got lucky on that one. Oh Angela, you are such a trooper. I don’t care for adventures like the one you described. I got on the wrong bus departing Bavaria, Germany’s Neuschwanstein Castle. It wasn’t until we headed on the freeway that I realized we were not stopping at the bottom of the hill – where I was to meet my husband. The bus driver understood my panicked “STOP,” immediately and brought me back to the castle. Such adventures might be pretty annoying when they happen, but so funny afterwards when you tell everybody! 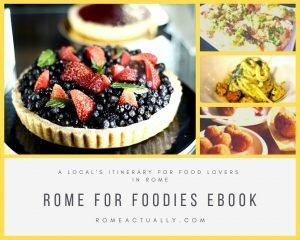 Love your photos — and the story! Glad you hadn’t actually crossed a border! sounds like a true adventure! My trip to the wall wasn’t nearly as exciting. Keep going with the Chinese, the first six months were certainly the hardest for me. I feel somehow my Chinese is improving but I don’t even understand how this is happening. I still have hard time to understand people speaking though, and if this wasn’t enough, Shanghai is meltin pot of dialects and accents! China can certainly be confusing! So lucky you had your phone with you and were able to call your guide! Angela, nice, you wrote an easy and pleasant to read story. Your impressive photo’s are telling their own stories – you revealed an overwhelming impregnable wideness. Beautiful.